A Gaston woman found two very young and unusual kittens in her barn Saturday. 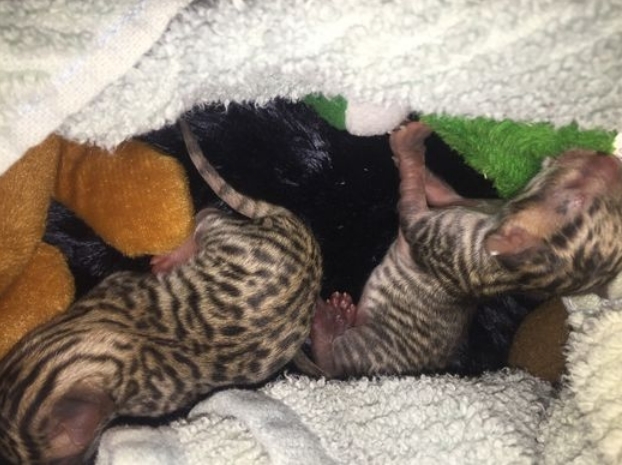 They weighed just a couple ounces each and didn't appear to be opening their eyes, but it was their black spots and hairless feet that made them look exotic. Alicia Jones brought the kittens to the Animal Rescue Fund in Muncie. Angela Sexton, ARF's cat expert, knew right away they weren't regular kittens, and a local veterinarian agreed. Sexton said they looked more like a leopard than a tabby. "We definitely knew we were looking at a different type breed the second we saw them." she said. So, Sexton turned them over to the Exotic Feline Rescue Center in Center Point, Indiana, later Saturday. One of the kittens since died, but the other is being bottle fed every few hours and staying in an incubator. 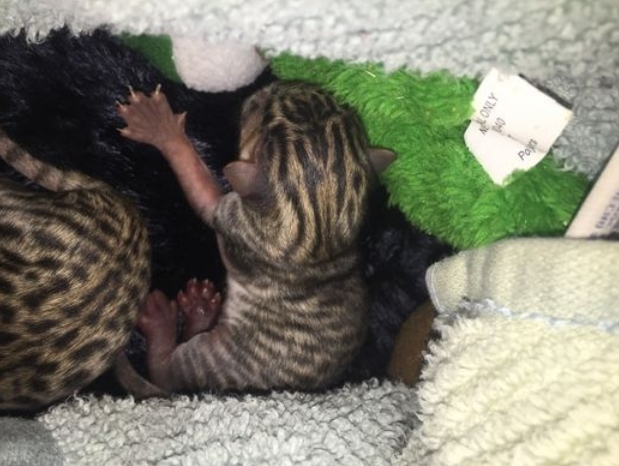 They were born prematurely said Joe Taft, director of the Exotic Feline Rescue. Taft said they are still unsure what the kittens are, but they've ruled out a few options, including tiger. The kittens are way too small to be baby tigers, Taft said. Taft also ruled out a bobcat, because the kittens have long tails. It's more likely that they are a Bengal or Savannah cat, which is a mix between a domesticated cat and a wild cat. 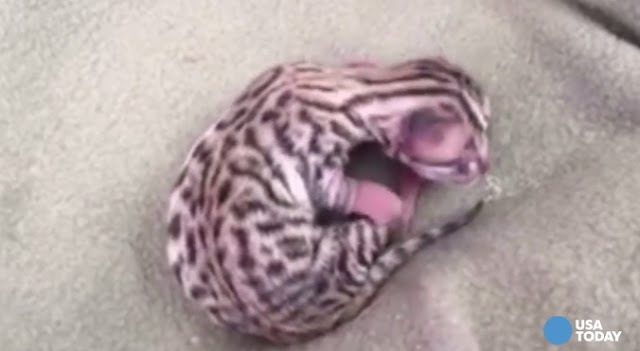 Specifically, Asian leopard cat or African cat, respectively. They could also be a mix of a domesticated cat with a Bengal or Savannah, making them only one quarter wild. Responses to "Unidentified Newborn Wild Kittens Rescued From Barn "
whatever they are they are sooooooooo cute and adoreable.